Getting a truly deep clean in your carpets is an important part of your business plan. Your clients walk across your carpets every day, and your employees may breathe in the dust or dirt that is trapped in the carpets. Carpet extractors are used to help remove dirt and debris from the carpet, and you must use equipment that gets the job done right. Carpet extractors and other professional cleaning equipment will help your janitorial staff keep your building in fine condition. Now, let’s explore the uses for cleaning equipment services in your building. Your carpets are punished every day by foot traffic, and you need to use extractors and steam cleaners to pull debris out of the carpets. The most ingrained dirt and dust in your office will be removed in a single pass, which will save you time and have your carpets looking great in an instant! Each of our carpet extractor devices helps to leave your carpeting feeling soft and like brand new again. Carpets that are not cleaned well will begin to feel terrible and wear poorly. 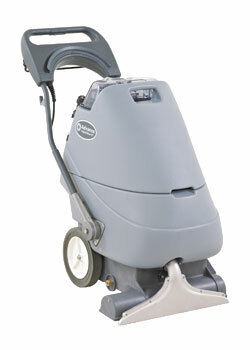 These machines come with an upholstery or carpet drag tool, so you can quickly and efficiently get into corners. You can also clean spots and remove stains out of furniture! There are many wonderful cleaning products on the market, and your cleaning crew will appreciate professional carpet cleaning equipment that is easy to use. A cleaning extractor that is properly spec can be an efficient carpet extractor, which in-turn will drive down your cleaning cost. Make your investment mean something! Contact Hillyard of Lancaster today, for your cost effective cleaning solution. The cleaning equipment you purchase for your building must be serviced regularly and Hillyard Lancaster can help you with all of that. The proper service schedule for each piece of equipment is listed in the owner’s manual, for daily and weekly maintenance. Following this schedule will extend the life of the machine. A business that looks after its cleaning equipment will see a long-term solution. The most powerful cleaning machines in the world can clean your carpets, but you must look over the carpets before you begin. Hardened muck on your carpets will not come up easily, and the most intense stains may not come up after the first cleaning. Have your cleaning crew look over each carpet before beginning, and you can set up the machine properly before you clean. Each cleaning job will be much easier when you have used the machine correctly. Read your owner’s manual to ensure you use the device properly, but if you have any questions we are always here to help. How Long Do Cleaners Last? A quality cleaning device will last for many years when evaluated and cared for properly, and our skilled technicians can help you learn and monitor the general health of your extractors. Contact Hillyard today to learn more.